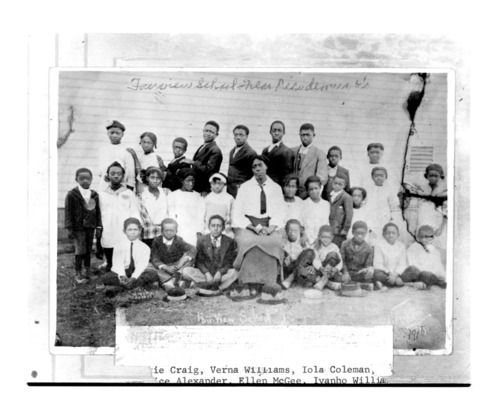 This black and white photograph shows a group of African-American students with their teacher from Fairview School near Nicodemus, Kansas. The school was located 2 miles north of Nicodemus. A few names are visible but it is not clear to what child they apply.